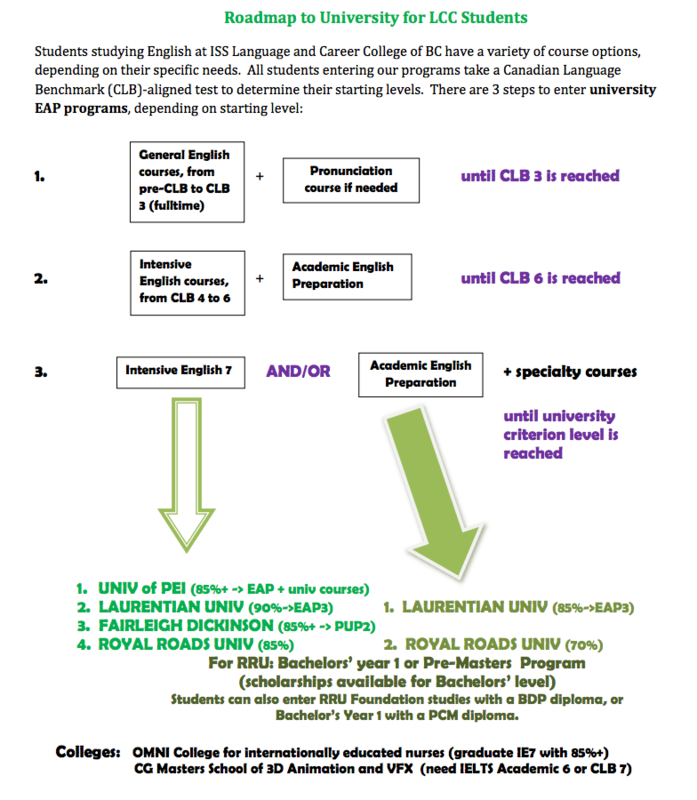 Our programs can lead you to universities and colleges in Canada! If you successfully complete Intensive English or Academic English courses, or earn a Business Diploma, you have the opportunity to enter some university programs without an English entrance exam. Talk to our registrars for details! “When I first came to Vancouver, my goal was to speak fluent English but never thought I’d go to university here. Honestly, I wasn’t a good student at first, and I sometimes skipped class. In the Study and Work program, I became a good student. I started in Intensive English 6, and worked until I passed Intensive English 7 with 89%. I was a bit nervous about my ability, but my teachers told me that becoming fluent doesn’t happen quickly. My LCC teachers were very helpful. Most of them have worked abroad and understand students’ feelings. While I was studying, I heard about LCC’s connection with Fairleigh Dickinson University. I saw a poster about it, and I heard an FDU guest speaker who came to LCC. My teachers encouraged me to apply. I am now majoring in Communication, which is a perfect fit. I can transfer at least 60 credits from my studies in Japan, and will finish my degree in less than 2 years. I highly recommend studying at LCC. It’s not expensive, but the teacher and material quality are very high and the atmosphere is perfect for international students. Other students told me that it is better than other ESL schools, not only because of the tuition, but the activities and class size as well. I’m happy to be a university student now. If I hadn’t come to LCC, I’d never have gone to university!